More flexible than plate and lighter than chainmail, this Leather Coat of Plates is an excellent choice for men at arms, squires, and skirmishers. 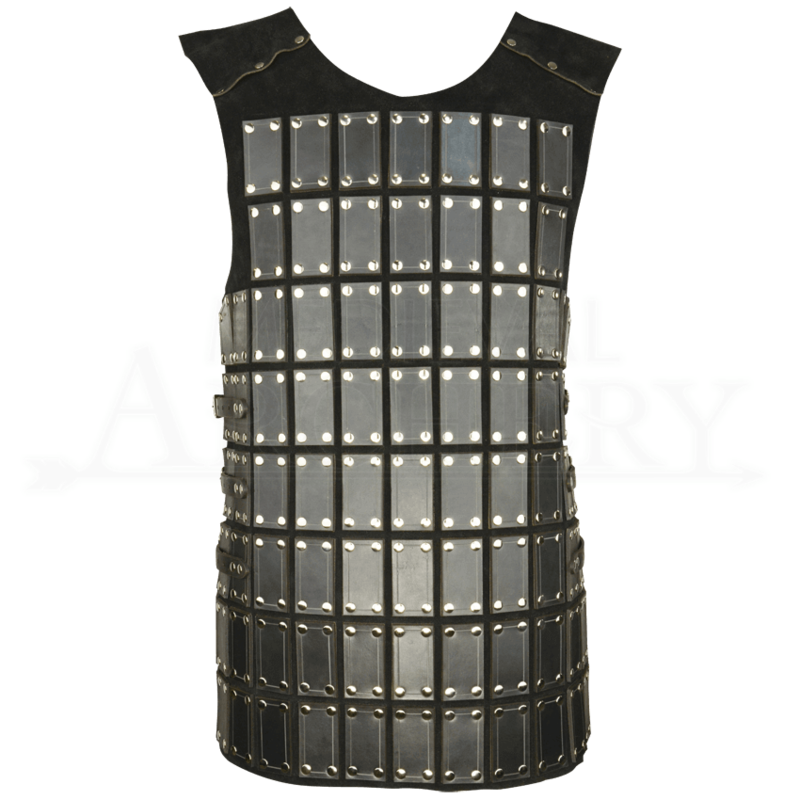 This leather armour is great for LARP combat or can be layered for more protection. 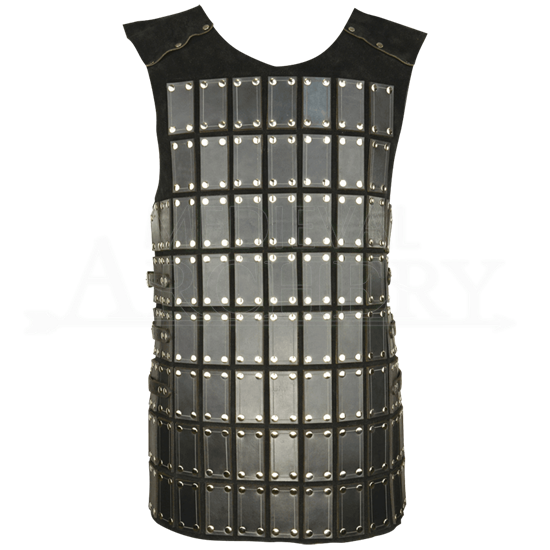 Hand crafted in our shop from high quality leather and finished with steel or brass hardware, this body armour is available in a variety of color combinations. The suede base is extremely flexible with rectangular 8/9 ounce leather plates riveted to it. The coat of plate comes in one size, highly adjustable with three buckled straps on each side. Suitable for men or women, this Leather Coat of Plates is perfect for LARP events, theatrical productions, cosplay gatherings, or SCA combat when worn with a gambeson and kidney protection. Available in different color combinations, when ordering, the first color listed is for the color of the suede backing and the second color is for the rectangular leather plates. All options come with silver hardware except the brown with brown, this comes with antique brass hardware.